Obviously, things weren’t bad for everyone, though, as there had to be someone in there playing. 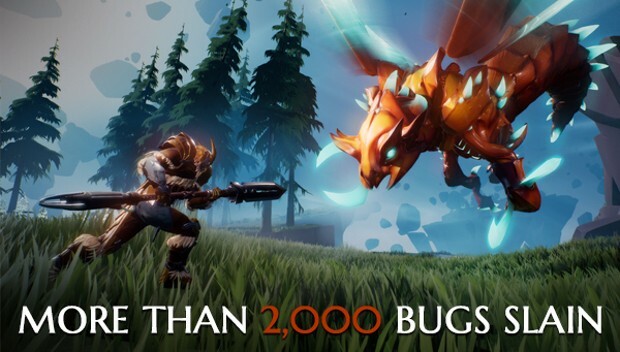 And during that time it appears they kept pretty busy, killing over 2000 bugs and participating in more than 5 million successful hunts. Oh. 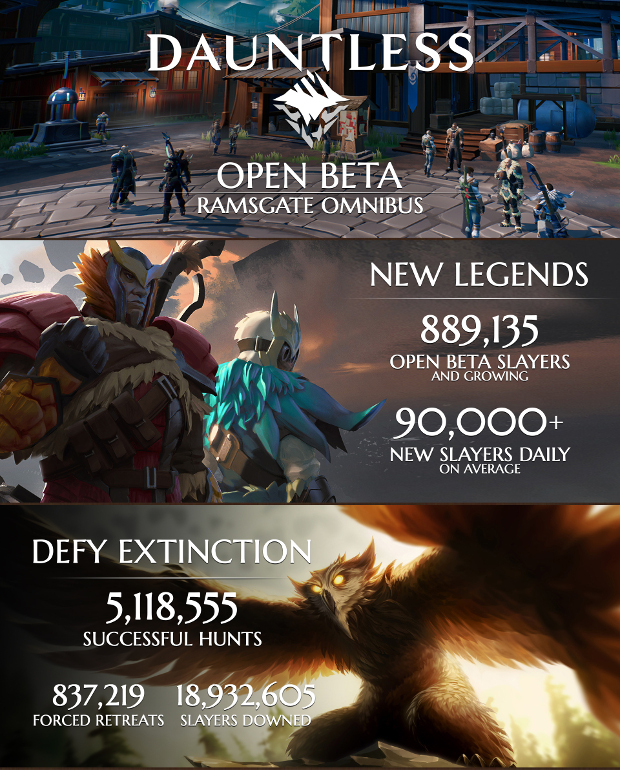 And just in case you wondered where those long lines came from… Well, it seems there are currently nearly 900k slayers with over 90k new ones signing up daily. 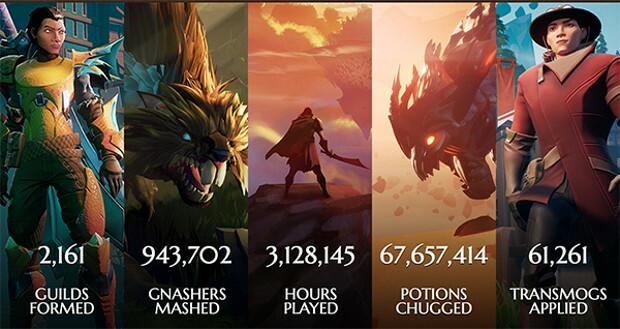 You can take a look at the infographic below for more of the fun stats. Amazing game, I’m surprised it’s F2P honestly. I can’t wait for new range weapons they will be adding. This game is garbage just like fortnite, dumb game for dumb people. There’s not even trash mobs, the map is empty and boring just like the game. It’s ugly in face of almost every other game,, the cartoony graphics etc. These games are cool in styles like…ohh say, Vindictus, where you go out, kill monsters, (I know its a dungeon crawler, but the core is same. Start at A, walk to B, kill boss, use materials). Id rather play vindictus for graphics and better combat than this slow, chugging, ugly childish rip off. Good game with no pay2win. I highly Highly doubt that, Whenever I get into the game be it peak time or not the entire thing is a ghost town, Queue takes ages to even find players, and honestly, the game is plain boring all you can do is Craft, kill behemoth, repeat. It’s even more boring the warframe farming.